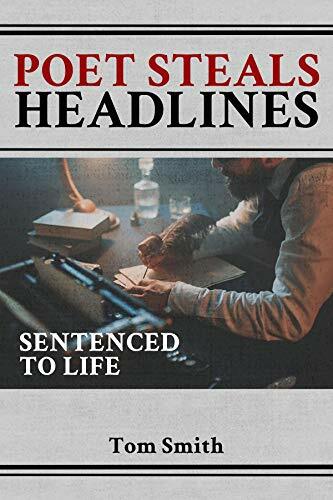 “Poet Steals Headlines: Sentenced to Life” is a unique 82-page collection of poems that are filled with humor, irony, fantasy, sensuality, and whimsicality. One poem after the other, Smith enthralls readers with his humorous, sensual, and even whimsical pieces. An educator and lover of literature, Thomas Smith has been publishing poems since 1959 and has been sharing book-length collections throughout his career. This time, he shares a unique set of pieces that will surely entertain readers. Each of his poems explores different themes that readers will find entertaining and engaging. His creative poems from “Poet Steals Headlines” are inspired by real headlines from tabloids, newspapers, and scandal sheets from different publications. Some of those are even from the New York Times. From those headlines, he features different characters in his pieces such as a talking fish in the Bronx, Liberace, an escaped ape in Boston, and even Spielberg. He showcases his originality and creativity to create poems from different events and happenings he reads and encounters. One poem after the other, Smith enthralls readers with his humorous, sensual, and even whimsical pieces. Because of that, his style of writing makes this collection unlike any other. Indeed, it’s a unique and entertaining collection that is sure to give readers a good time. Smith’s “Poet Steals Headlines” is set to be a part of the upcoming 2019 London Book Fair New Title Showcase. Happening on March 12-14, 2019, poetry collections and books of different genres will grace the bookshelves in this highly-anticipated event. Therefore, book lovers and literature fans will surely have a great time during this three-day affair.